Families of the detainees who died after they were tortured in the Kahrizak Detention Center in 2009 and survivors have told the International Campaign for Human Rights in Iran that their quest for justice has gotten nowhere. Some of the cases brought by the families resulted in the conviction of low-level agents while other cases were closed with an acquittal or no ruling, but no high-level official has been held accountable for the deaths of the detainees. The mysterious death of the doctor who exposed the abuses at Kahrizak, Ramin Pourandarjani, was never investigated. 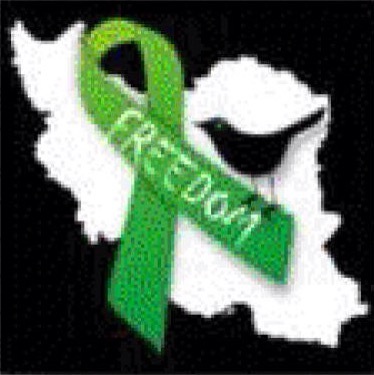 On July 10, 2009 dozens who were peacefully protesting the widely disputed result of the Iranian presidential election of June 12 were rounded up at street rallies and taken to the Kahrizak Detention Center in southern Tehran where they were held in deplorable conditions and tortured. At least five detainees died shortly after being tortured. Amir Javadifar died on July 14 as he was being transferred from Kahrizak to Evin Prison. On July 15 Mohsen Rouholamini died in the hospital. Mohammad Kamrani also died on July 16 in the hospital. All three men died as a result of the torture they had endured at Kahrizak, according to officials. Their deaths were recorded in a report by the parliamentary Special Committee to Investigate the State of Detainees at Kahrizak, which was read in Parliament on January 10, 2010. Two other detainees who also died as a result of the torture were not mentioned in the parliamentary report. Ramin Aghazadeh Ghahremani died in the hospital on July 18 “a few days” after being released from Kahrizak, his brother told the Rahesabz website on July 13, 2011. Ahmad Nejati Karegar died in the hospital on August 6 after being released and hospitalized on July 13, his mother told BBC Persian on July 6, 2010. Ramin Pourandarjani, a 25-year-old physician who tended to the tortured prisoners, died days after reporting the abuse a few months later on November 10, 2009. His death was never investigated despite a lawsuit brought by his family. Mehdi Karroubi—who ran for the presidency in 2009 and became a leading figure in the pro-democracy Green Movement that grew out of that year’s protests—was the first well-known political figure to publicly express concern about the human rights abuses at Kahrizak. The government responded by claiming that his protestations were a political ploy designed to undermine the result of the election. In February 2011 Karroubi and another presidential candidate, Mir Hossein Mousavi and his wife Zahra Rahnavard—both also both became Green Movement leaders—were put under house arrest without due process. The three, who remain under house arrest nearly five years later despite domestic and international outcry, were told that they would not be released until they repented for disputing the election’s result, which brought Mahmoud Ahmadinejad a second presidential term. Nevertheless the Green Movement’s persistence, along with pressure from the victims’ families, forced the Judiciary to finally hold a trial for the deaths of Rouholamini, Kamrani and Javadifar. Initially, in the summer of 2010, a trial was held at Branch 1 of the Tehran Military Court based on complaints by 47 Kahrizak survivors and the families of Rouholamini, Kamrani and Javadifar. However, the death sentences against Ali Mohseni and Mahmoud Jafarzadeh were terminated after the men were pardoned by the victims’ families, who demanded that “the primary culprits” be held accountable instead. In February 2013, nearly four years after the victims’ deaths, a second trial took place with Saeed Mortazavi—the former Tehran prosecutor who had been appointed by the former head of the Judiciary to monitor Kahrizak—as the defendant. Mortazavi was charged with being an “accomplice to the murder” of Rouholamini, Kamrani and Javadifar and “assisting in writing a false report” along with two other officials, Hassan Zare-Dehnavi and Aliakbar Heydarifar. The trial took place at Branch 76 of the Criminal Court and was presided by Judge Siamak Modir-Khorasani. Before the end of the trial, Javadifar’s father withdrew his lawsuit against Mortazavi and the court declared Kamrani’s murder case closed. In November 2014 Mortazavi was acquitted of being an “accomplice to murder” but permanently banned from holding state positions and fined two million rials (about $60 USD) for filing a false report. The Rouholamini family appealed the ruling twice, and the most recent case is currently ongoing at Branch 17 of the Supreme Court. In October 2016 Mortazavi submitted a letter of apology for the deaths of the Kahrizak detainees to the Appeals Court. “As I was the Tehran prosecutor at the time, I express shame for this terrible incident, even though it happened without any deliberate intention, as God and my conscience are my witness,” wrote Mortazavi. Reza Zoghi, who was tortured at Kahrizak when he was a detainee in 2009, rejected the apology as an “insult.” Complaints filed by Zoghi and fellow torture survivors Masoud Alizadeh and Hamid Hajjarha were never investigated. “The day I went there I saw a lot of the detainees. A few days later, we received a letter that we could get free medical treatment. I went to Imam Khomeini Hospital where I was able to get pills to treat infections,” Zoghi told the Campaign in September 2016. “At the time I was serving my compulsory military service and hadn’t showed up at my barracks for a month. So a few days after I was released from prison, I was taken into custody by military police and three months were added to my service as punishment. After that I was busy with my military service and couldn’t follow up with my complaint. But there was a Colonel Nezamdoust who visited me several times and threatened me, telling me not to pursue my complaint. Finally, I gave up. It was very painful. I had been threatened so many times that I couldn’t go through with it. After Mortazavi was cleared of being an accomplice to murder in August 2015, Alizadeh told the Campaign that the psychological wounds he suffered at Kahrizak had still not healed. “We were all tortured close to death. Some died and we lived, but no one saw us. The judicial authorities did not investigate our case. I wish those who had a voice could also mention what happened to us as well,” he said. Hajjariha was quoted by the reformist Kalame website on October 6, 2016 saying that he was forced to withdraw his complaint against Mortazvi. “One day a few of the [Kahrizak survivors], along with Mohammad Kamrani’s father and I went and filed complaints against Saeed Mortazavi. But during a memorial for Amir Javadifar I was arrested and forced to take back my complaint,” said Hajjariha, who later left Iran to escape the harassment he was being subjected to for speaking out. The sudden death of Pourandarjani—the young doctor who worked at the Kahrizak Detention Center and reported the abuse of the detainees—remains an unsolved mystery that the authorities have refused to investigate. “Our family sued those responsible at Kahrizak, but our case did not get anywhere,” Pourandarjani’s father, Reza Gholi Pourandarjani, told the Campaign. Karegar also died in the hospital shortly after his release from Kahrizak as a result of the torture. این ورودی در ENGLISH POSTS فرستاده شده با ENGLISH POSTS برچسب خورده. عکس روز : معاون وزیر بهداشت: اگر مردم ندارند بخورند چرا چاق هستند!